Ah, camping. Loading all the gear. Setting up the tent. Building the fire. Sleeping under the stars. There’s a new take on camping that’s made for those with a taste for a little luxury while they become one with nature. It’s called “glamping”—that’s a combination of “camping” and “glamorous”—and it might make a camper out of you yet. You’ll still need to lug stuff, and you’ll still need a campsite and a tent. But that’s pretty much where the similarity to regular camping ends. What happens in glamping is that your tent becomes a veritable oasis of charm and comfort: use air mattresses or fold-out cots for sleeping, and actually make the beds with crisp sheets, pillows, and pretty blankets and quilts instead of using sleeping bags. Some extreme glampers even add decorative throw pillows and small rugs to the scene, complete with bedside tables (which might be small wooden folding tables, a vintage wooden crate overturned, or even a tree stump), flowers in vases, and glowing candlelight (use battery-powered candles for safety). 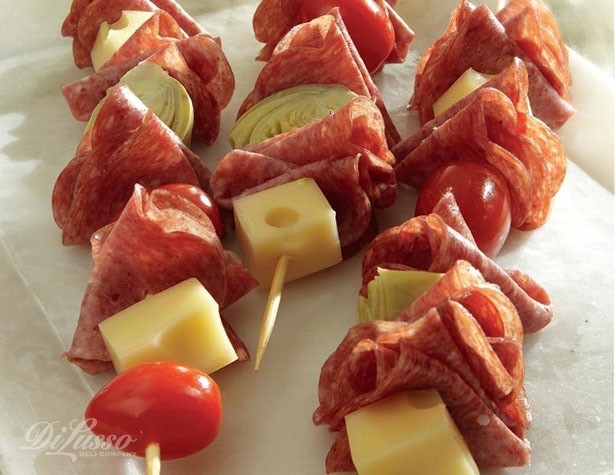 Antipasto Skewers – Simply thread our Hard Salami, Swiss Cheese, and colorful veggies on wooden skewers. Assemble them before you set out; wrap well before packing. 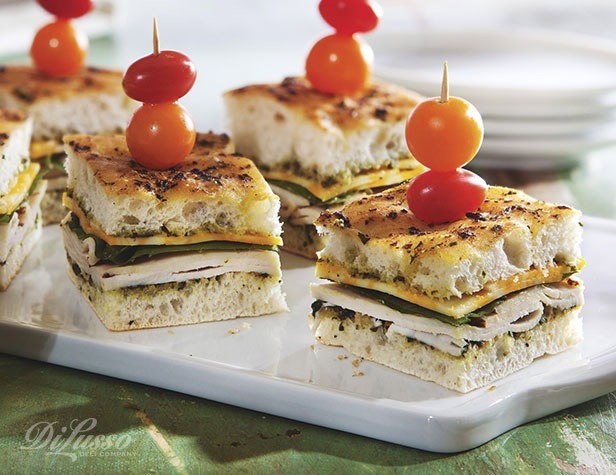 Pesto Petites – our Oven Roasted Chicken and Colby Jack Cheese, fresh spinach leaves, and zesty pesto on focaccia and cut into bite-size squares for easy eating. To prevent soggy bread, you might want to wait until you’re ready to eat to spread the pesto. 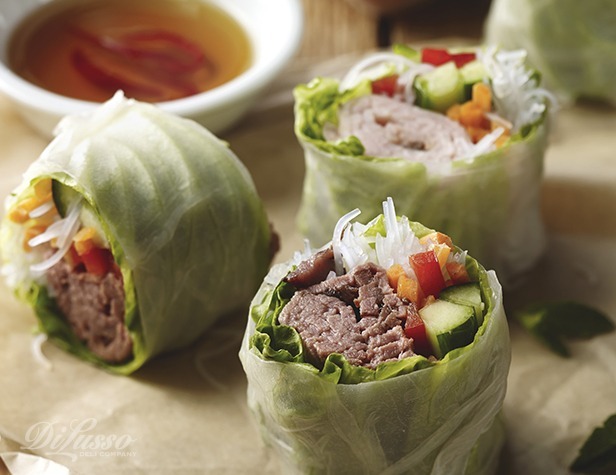 Summer Roll Bites – Another easy, make-ahead finger food with Asian flair, especially good on a hot day (keep them in the cooler, of course, until ready to eat). 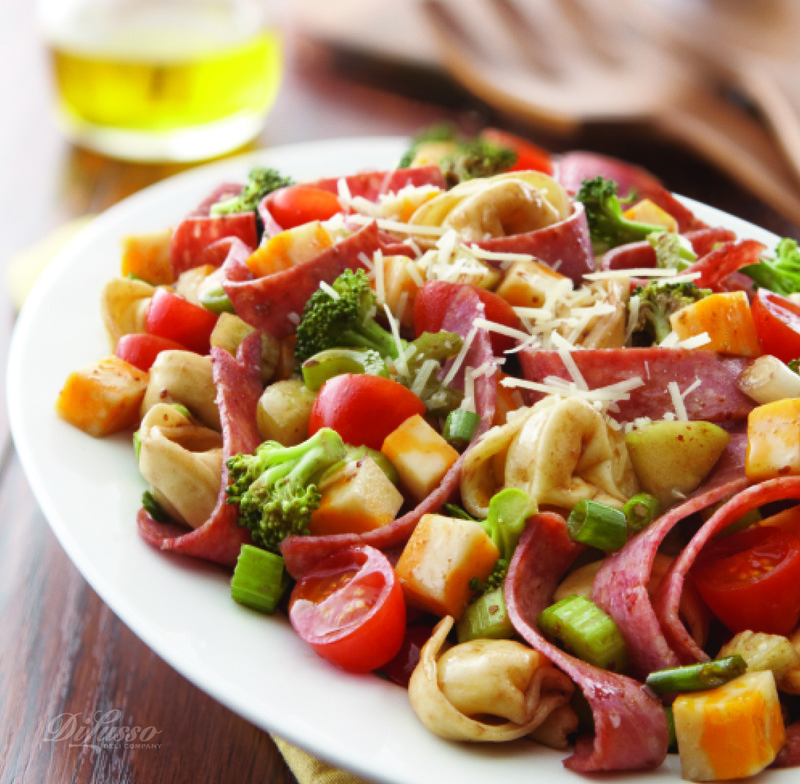 Insalata di Pasta – This delicious pasta salad of cheese tortellini, our Honey Roasted Ham and Colby Cheese, lots of colorful veggies, and a tangy dressing made with our Dijon Mustard can be made a day or two ahead of time to let flavors meld. 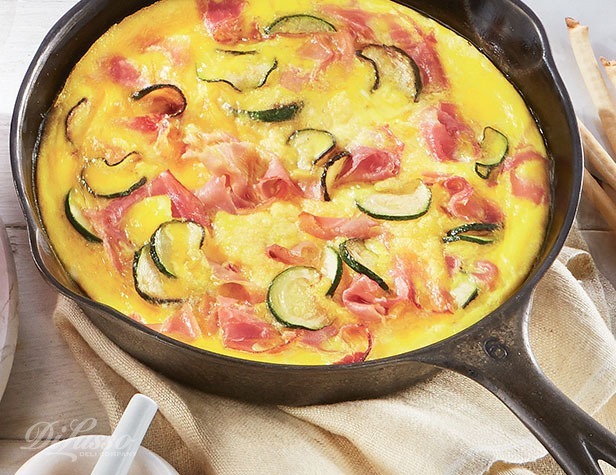 Prosciutto and Zucchini Frittata – Because you’ll need breakfast when you wake up with the birds! Make this ahead and cut into individual servings. Pack each wedge separately and place in the cooler. Believe it or not, this is delicious served cold or at room temperature! Staying in the spirit of the glamp, you’ll want to serve all your foods from beautiful plates, platters or trays; just pack them up carefully (bubble wrap wouldn’t be a bad idea). Don’t forget real silverware and glasses, too. No paper or plastic when you on a genuine glamp-out. There’s one aspect of traditional camping that glamping can and should embrace: ending the evening by the campfire, listening to the crickets, gazing at the stars, and, of course, making s’mores. While they’re not exactly glamorous, they’re just too good to exclude. But you still might have to use the lake to rinse off your sticky hands.